Everyone gets angry, so it's never too early for children to learn to recognize feelings of anger, express them, and build skills for coping with anger in helpful, appropriate ways. Children learn that it is okay to feel angry—but not okay to hurt anyone with actions or words. They discover concrete skills for working through anger: self-calming, thinking, getting help from a trusted person, talking and listening, apologizing, being patient, and viewing others positively. 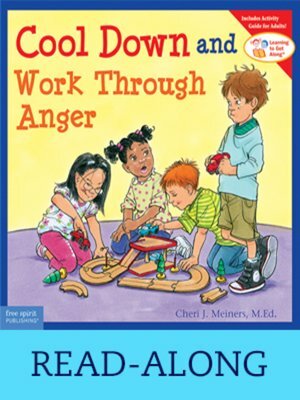 Reassuring and supportive, the book helps preschool and primary-age children see that when they cool down and work through anger, they can feel peaceful again.Read-along edition.